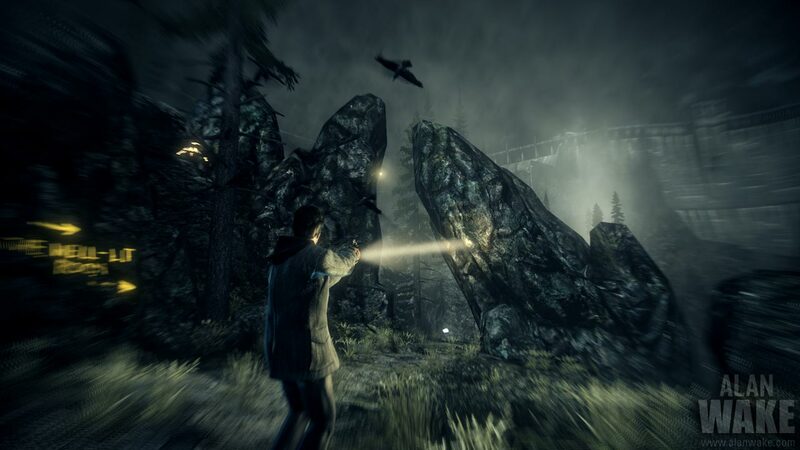 Throughout the game, Alan Wake will have access to various weapons and tools to assist him as he ventures from one end to the next, trying to solve the mystery surrounding Bright Falls and the kidnapping of his wife. However, the weapon distribution tends to feel contrived, typically lying out in the open or in red boxes mounted on walls. It also seems like you never carry weapons very long as they vanish after cutscenes. The most important tool Wake has at his disposal is his flashlight. Enemies can’t simply be defeated by guns alone; the darkness protects the residents like a shield. The secondary fire on your flashlight is a candlepower boost which makes it a powerful weapon to dissipate the shield, making enemies vulnerable to attack. Strangely, this isn’t the first time I’ve seen a mechanic like this; something similar can be found in the survival horror game, Obscure—or even Gears of War. Built on an engine developed in-house by Remedy, the visuals are effective and gorgeous. Lush foliage helps you to feel lost in the woods at times even though the levels are fundamentally linear in design. Rolling fog will occasionally sweep through to create an ominous atmosphere of impending doom. 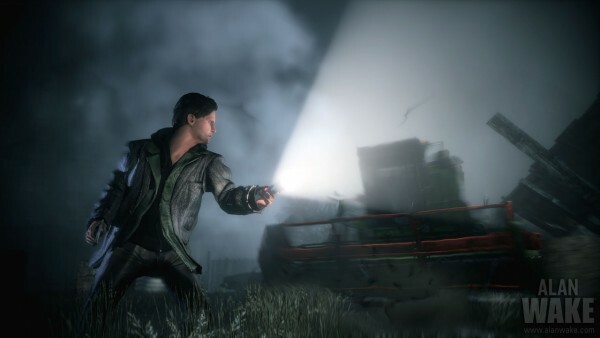 The lighting fulfills a realistic touch to the environment and flashlight; for a game that relies so heavily on it in the narrative, it’s a big plus. There’s nothing quite like that relieving feel of security anytime you approach a bright light. Levels are populated by a whole slew of collectables and secrets, ranging anywhere from the manuscript pages of Wake’s story that is coming to life, to thermoses of coffee symbolizing his love for the substance. While the sheer quantity of pickups feels a little intimidating, they never seem to stray far from the path making them a little easier to locate. Yellow painted arrows or blotches that can only be revealed on walls via your flashlight point you to secret rooms stashed with guns, ammunition and other usefuls. Additional goodies include the episodes of a make-believe show paying homage to The Twilight Zone titled Night Springs. These are viewable on televisions scattered around the world—these are, by the way, both fantastic and hilarious—as well as radios that play segments of a small town AM station. For the most part, the game controls well. The movement animations are smooth without feeling overly clunky. The enemies will outrun you, so the game provides a means to dodge, a button that lunges Wake in the direction your heading, ducking down and going into slow motion for close calls. 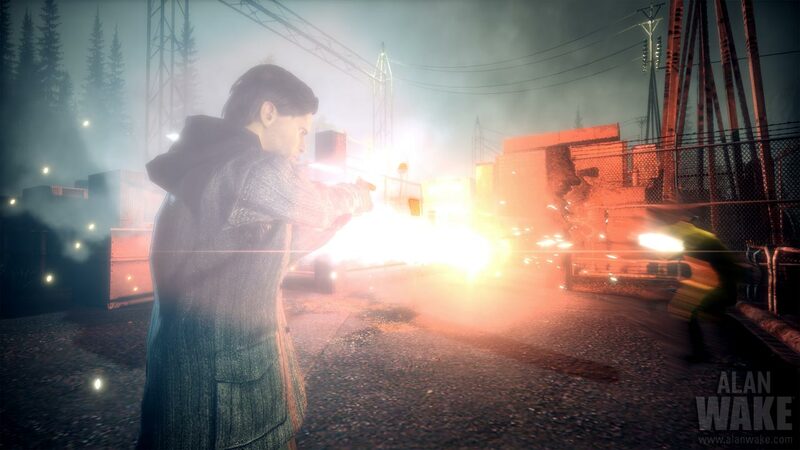 The game also features the ability to drive cars which handle well enough, utilizing the same flashlight boost mechanic, replaced by flipping on the brights instead. The biggest problems plaguing the game are its linearity and repetition. The enemy types are few and cookie cutter. Most of the mechanics you use are introduced early on, failing to add any significant variety to later stages. It seems the game gets so heavily focused on getting from point A to point B that it gets boring, almost tedious at times. Even moments where guys will basically keep respawning till you hammer your dodge button all the way to the next checkpoint. Despite the game’s early promise and visually stunning atmospheric spectacles, the shallow game elements and linear level design will only serve as busy work to get from one cutscene to the next, but where it succeeds, it shines—pun not intended. The atmosphere and provocative story should be plenty motivation to see it to the end.